Silver Light Alchemy: 2013 - The Invasion Begins....!!!! 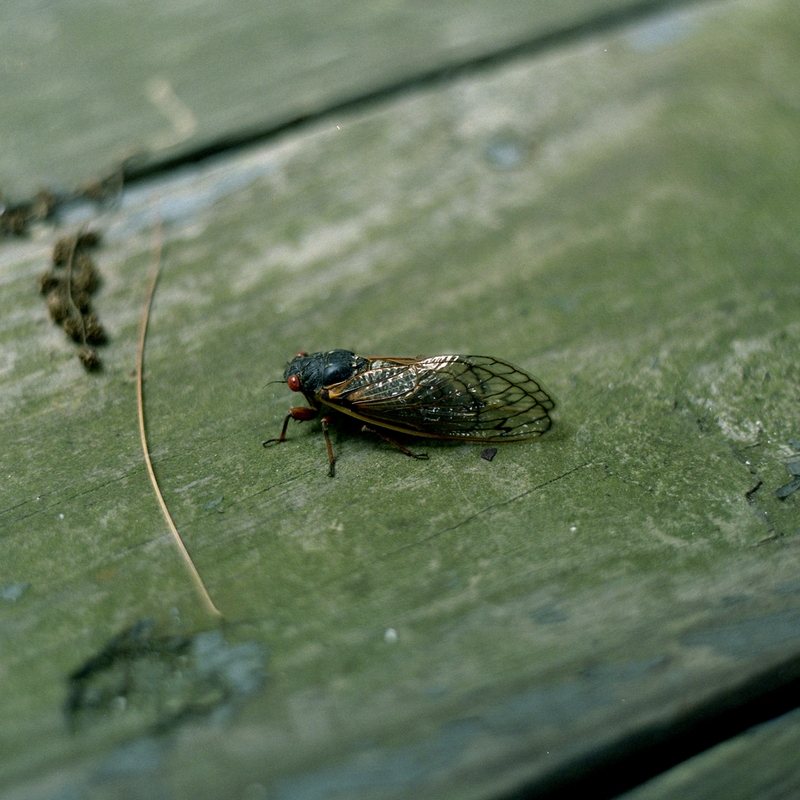 Kiev 60 Arsat 80mm f2.8 20mm extension tube FujiFilm Pro 400H Arista C41 - 2013 is supposed the be a peak year for the 17 year cicadas in Virginia, an event the media has dubbed "Swarmageddon." This may be one of the early scouts of the invasion. I did not have to go far to find him, there were several hanging out on my back porch. Scanned with and Epson V500 Scanner using Epson's OEM software.